Count on The Auto Pro in Newark, OH when you need reliable brake service at a fair price. We’ve inspected and repaired brakes for drivers throughout Newark, Mt. Vernon, Heath, Granville, Buckeye Lake and the surrounding towns in Licking County since 1998. We are licensed, bonded and fully insured. Your brakes help your vehicle stop when you need it to, keeping you safe on the road and helping you avoid accidents and other disasters. 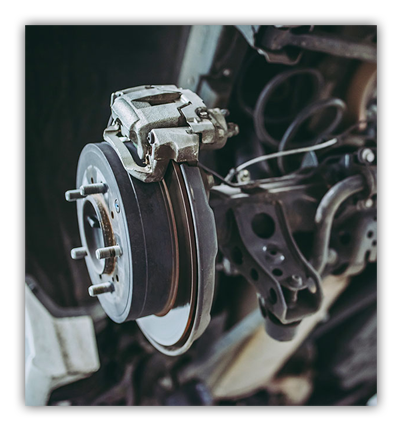 So when your brakes aren’t working like they’re supposed to, it’s important to bring them to experienced mechanics like the team at The Auto Pro so you can rest assured your vehicle will get the service it needs to have fully functioning brakes. We service disc and drum brakes on all vehicle makes and models, so you can get the repairs you need no matter what you drive. To schedule brake service for your vehicle, call The Auto Pro at (740) 345-4930.